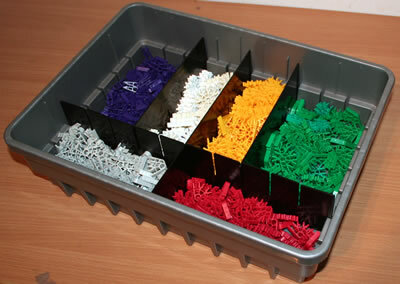 The following Troubleshooting tips may help you to resolve common problems encountered whilst building K'NEX models. • How do I join rods to connectors? • How do I join purple and blue connectors? • Why is my model not strong enough? 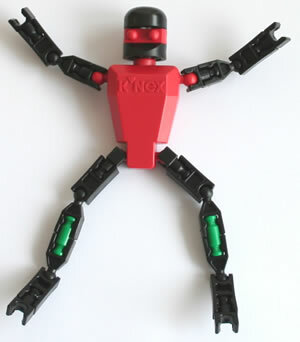 • How do I connect K'NEX motors to my model? How do I join rods to connectors? 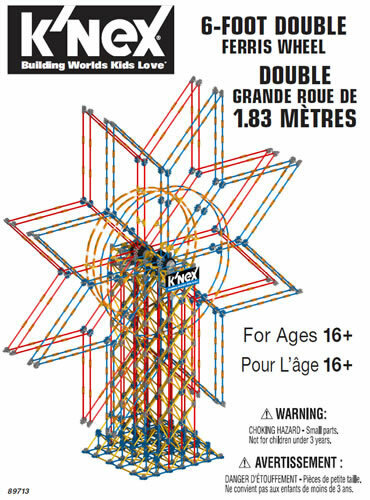 If you are finding that the KNEX End-on connections are too difficult, you are probably not positioning the rod correctly over the slot before you push the pieces together. Look at the second photo for Handy Hint A2. Try putting the connector on a table-top before you try and join the rod to it. If you are finding Side-on connections are too difficult, you may be trying to join the connector too close to the end of the rod, where there are no ridges. Try attaching the connector near the centre of the rod, and then sliding it to the right position. If you are still having problems, look at the photo and information for Handy Hint A2. Note that younger children may not have the strength in their fingers to make this type of connection. How do I join purple and blue connectors? Make sure you have put the slot on one connector inside the slot on the other connector, then push hard enough to hear a click. If you are still having problems, look at the photos for Handy Hint A4. Why is my model not strong enough? ♦ Don't use orange connectors in your model. You should replace them with connectors that can be connected sideways as well as lengthways, to give greater strength. ♦ Use squares in your model, not rectangles. Squares in KNEX can always be joined across a diagonal for greater strength. ♦ Check that all connections in your model have been made correctly. If there is a rod anywhere which is not correctly snapped into a connector, this will reduce the strength. ♦ If you are making a 2-D model, see Handy Hint A3. ♦ If you are making a 3-D model, see Handy Hint A5. ♦ If you are still having problems, try using shorter rods. A model using grey rods will bend more than a model using only shorter rods. How do I connect K'NEX motors to my model? If you would like some general guidance on connecting a motor to your model, see the Motors Handy Hints page. If your motor is attached and turning, but the wheel on the rod connected to the motor isnt, there may be one of the following problems. 1. On the Spring or Battery motor, you havent pushed the rod right through the hole in the middle. You must do so, or the rod will slip. 2. On the Battery motor, if you are using the hole at the end, you have not pushed the rod in hard enough. 3. You have probably not used a tan connector to join the rod to the wheel (see Handy Hint W6).